​You gotta hand it to those Italians; they chuck in a Pista this, add a Pista that, dollop some special sauce and viola they come up with a whole new thing. So it is with the 2018 Ferrari 488 Pista (Pista is Italian for track) special edition. Like its forebearer the 458 Speciale, the 488 Pista is a track-focused weapon that can do dual duty as a regular road car. How you can call a vehicle that can hit 100km/h from a standing start in just 2.85 seconds regular is beyond me! 0 to 200km/h is a staggering 7.6 seconds, and it will top out at more than 340km/h, how much more it will do, Ferrari don't actually say. The 488 Pista will have its official unveiling at the 2018 Geneva International Motor Show. No doubt it will earn the same applause the 458 Speciale did before it. Aside from the name (not so sure the Pista moniker sits right in English speaking markets), what's not to love about it. 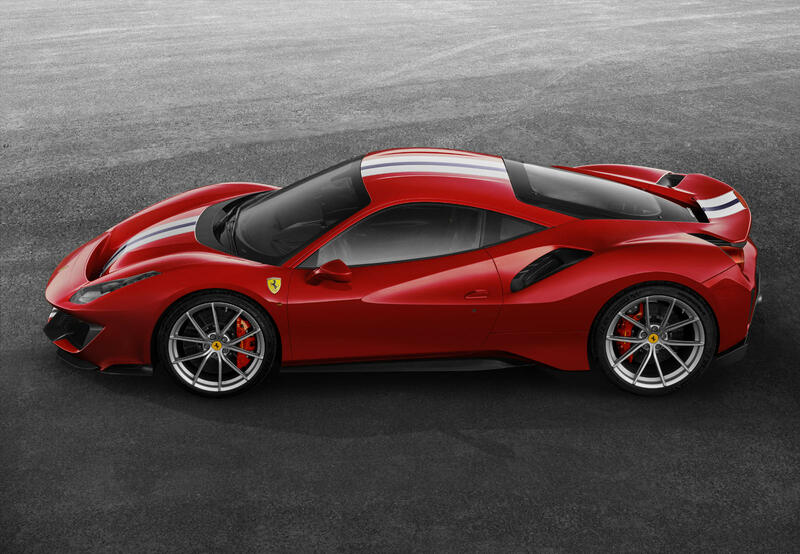 To get the 488 Pista track-honed, they've shed 90kg over the standard model, and power output from the 3.9-litre twin-turbo V8 is now 721hp from 661hp, a significant jump. Is Ferrari having a cheeky dig at the McLaren 720S, quoting 1hp over its rival? Bringing to the fore all the latest technological advances from Ferrari's F1 program; the 488 Pista uses enhanced aerodynamics, suspension and software systems to improve downforce and handling. These include F1-inspired S-Duct and a rework of the front diffusers; the artfully integrated duckbill rear spoiler completes the bodywork enhancements. 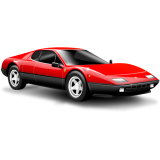 As a result, downforce is increased 20% over the standard model. The Side-Slip Angle Control system (version 6.0) which integrates the E-Diff3, F1-Trac, the magnetorheological suspension (SCM) and the Ferrari Dynamic Enhancer (FDE). The FDE features a world-first: using software to adjust the brake pressure at the callipers, all contribute to making the car more manageable at the limit and accessible to drivers at all skill levels. So while you might not be Sebastian Vettel, driving the Pista will feed your racing driver ambitions. With the power output Ferrari is quoting, it makes the 488 Pista the most potent ever V8 engined road car in its long history. Will the 488 Pista dethrone the Porsche 911 GT2 RS as the Nurburgring track star king? Time will tell. The Lamborghini Centenario is sensational, no bull! The Faraday EV SUV: blowing the doors off of supercars.